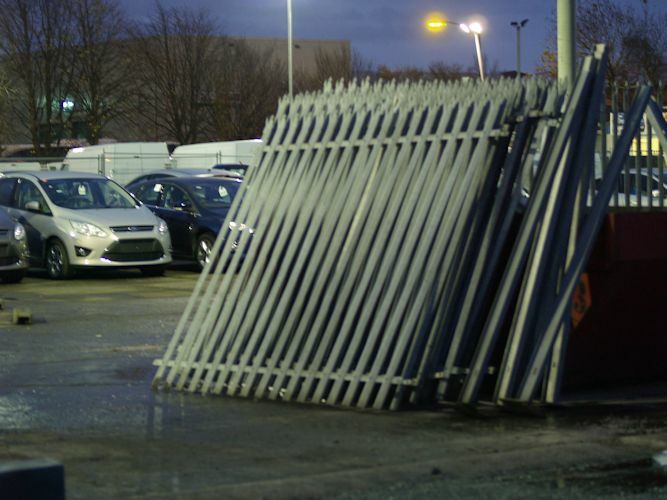 Bolton Industrial Fencing™ are fencing contractors who supply & fit palisade fencing & gates and other metal security fencing & gates like welded wire mesh fencing, and railings & guard rail. 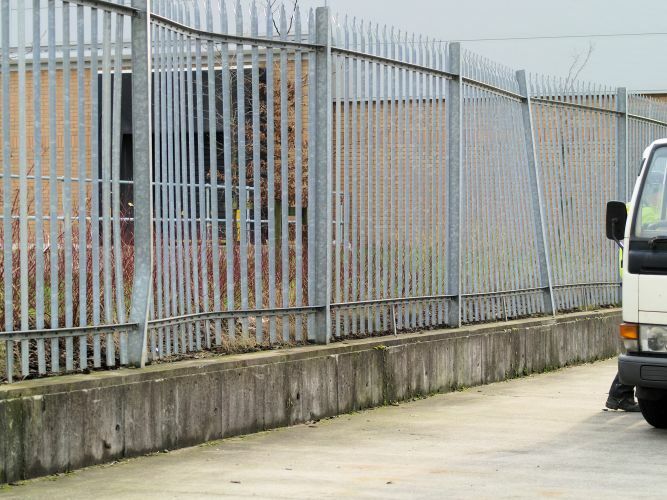 We install palisade and other industrial security fencing [see our fencing information guide] for schools, authorities, industry, and business in Bolton, Bury, and the wider Greater Manchester area. 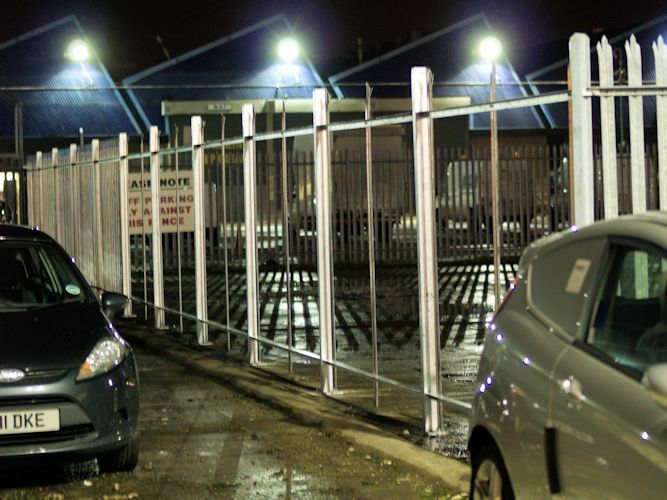 We provide fixed quotes to install palisade and other metal security fencing in Bolton, Bury, and the surrounding areas. These areas include Westhaughton, Horwich, Salford, Stockport, Prestwich, Middleton, Radcliffe, Farnworth, Ramsbottom, Walkden, Worsley, Chorley, Leigh, Rossendale, Atherton, Urmston, Trafford, Irlam and the surrounding Greater Manchester UK areas. 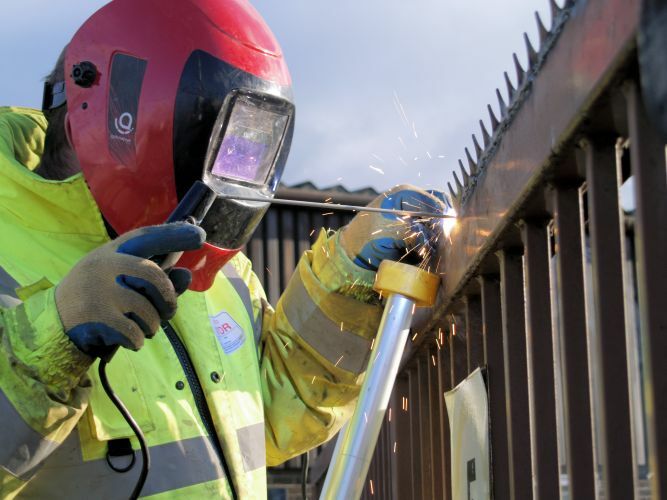 Bolton Industrial Fencing™ provide a full range of repair and maintenance services for industrial fencing and industrial steel gates. 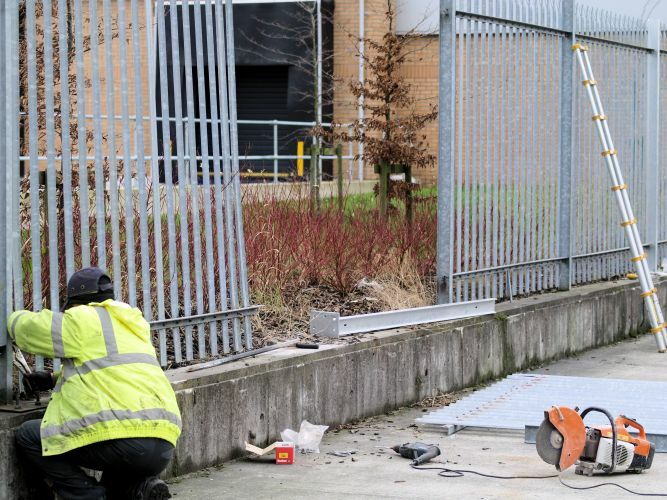 Our services include replacing damaged sections of fencing, replacement of damaged fencing pales or panels, welding, concreting, modifications, and fence or gate relocations. Our reputation as Bolton's leading weld mesh and palisade fencing contractor is reinforced by many years of industrial fencing experience. 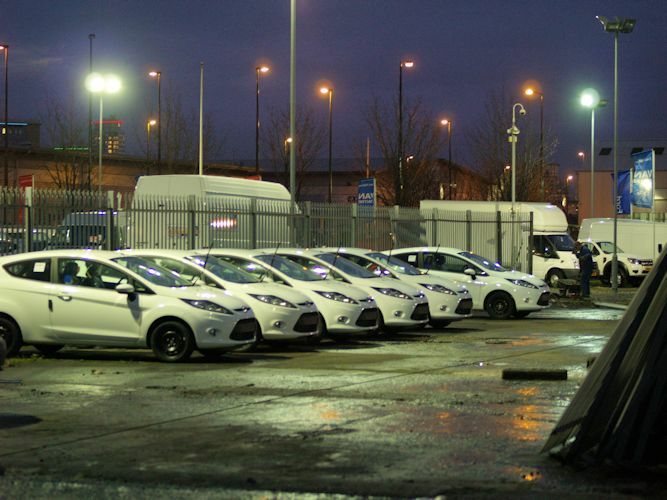 We understand that hard work and a competitive edge are the key principles to success; this is why we have become Bolton's leading industrial fencing contractor. 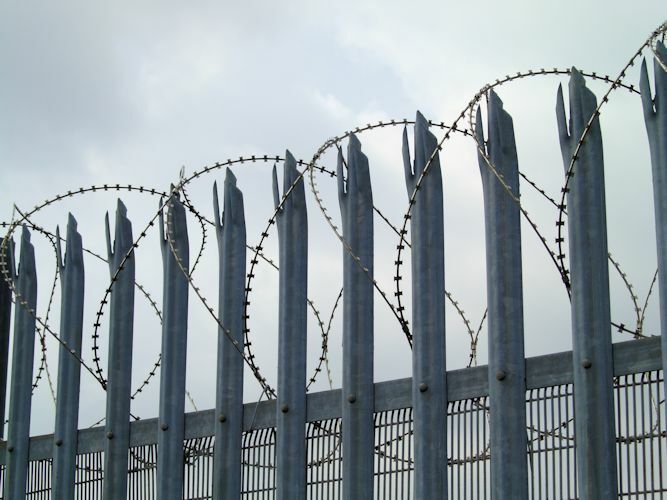 Barbed wire, razor wire or razor tape are very effective high security measures. Razor wire is a cost effective solution, i.e. extremely effective at low cost. We offer advise then supply and fit the most appropriate mesh panel fence systems to suit needs. 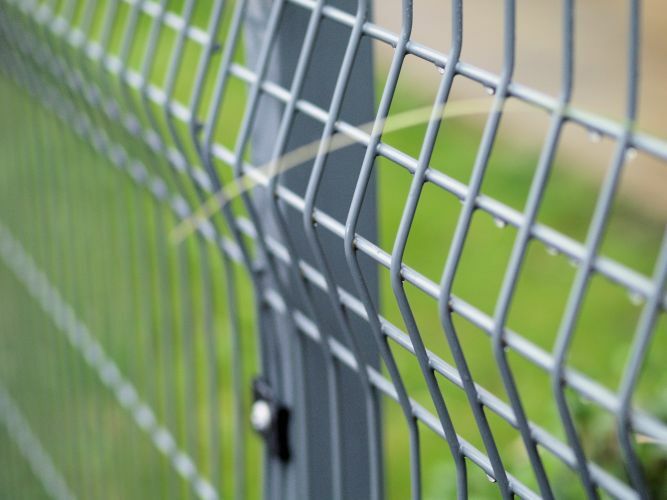 From cost effective intruder deterrents or simple border definers to maximum security mesh fencing with razor wire tops. Our experience makes it possible for us to offer customers a 'take down and re-erect fencing service'. This can obviously save on a great deal of expenditure on new industrial or commercial fencing. Not all fencing companies are willing to offer a fence moving service because it is labour intensive and can be dangerous if the right methods are not implemented. For extra security or to stop intruders climbing over, we can weld on security spikes. We have a similar bolt down product for walls. Anti scaling barriers are suitable for fence and wall tops where a visual statement and extra high security are a requirement. The tube clamp rail system is a versatile product that is a cost effective safety barrier or hand rail solution. 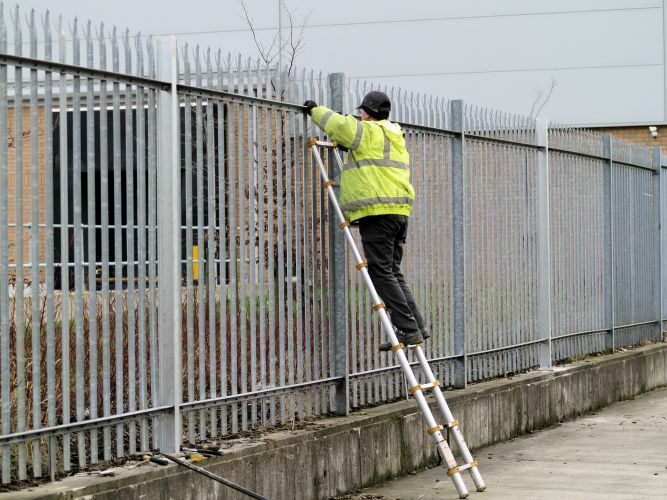 For industrial fencing repairs, we supply our industrial fencing materials at cost; we have no incentive to charge our customers for fencing materials that are not essential to a industrial fence repair or modification. We always do our best to salvage or repair all or most of the fencing components because it keeps cost down to a minimum. For steel fence posts that have been badly damaged by HGVs and such like, there is no alternative but to replace the post with a new one. However, as an example of our inovative cost saving methods, in the job pictured below, the whole bent section of fence pales and rails were removed, straightened with our specialist hydraulic repair equipment, and replaced; as you can see, this was a successful fence repair that saved our customer two hundred quid. Industrial Fencing Materials Supplied at Cost with all Industrial Fencing Repairs. Innovative Cost Saving Methods Implemented. Vehicle Damage to Steel Fence Remove Damaged Fencing Repair the Industrial Fence Good as New at Low Cost!